Here We Are: Feminism For The Real World. Please Note: While Cathy is on sabbatical, Louise is writing all the reviews. Cathy will return in February, 2018. 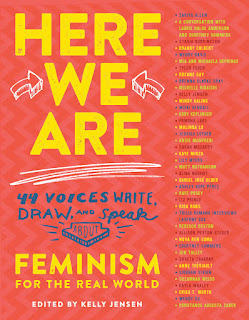 In a design that resembles a scrapbook, 44 Voices Write, Draw, and Speak about feminism. 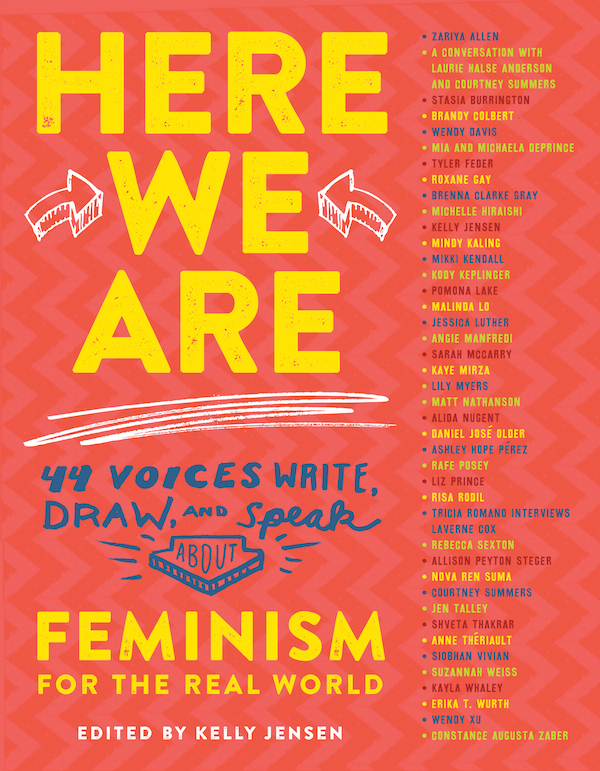 Dip into this collection of essays and you will be blown away by their depth and the sharing of emotions as each author discovers their ideal of feminism. Each essay is beautifully written and so packed that readers may pause between readings to fully absorb all that is being shared. 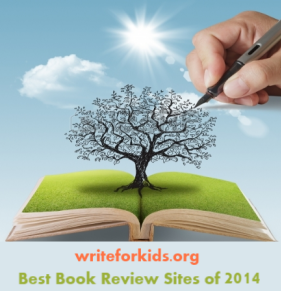 Contributors are authors, cartoonists, state senators, and librarian. The first essay, “Forever Feminist” by Malinda Lo shares what being a feminist means to her. “My personal ideal of a “feminist” is rooted in one woman: my paternal grandmother, Ruth Earnshaw Lo. She was a white American woman who fell in love with a Chinese man at the University of Chicago in the 1930’s. When they met, interracial marriage was still not legal nationwide in the United States; Loving v.Virginia did not declare an end to anti-miscegenation laws until 1967. So, in 1937, my grandmother married my grandfather, John Chuanfang Lo, in Shanghai.” Lo’s grandmother would remain in China during the Cultural Revolution and write about her experiences in: In The Eye of the Typhoon. Lo saw feminism as a woman in full potential. Daniel Jose Older’s essay, “Many Stories, Many Roads,” explores his transformation and how keeping silent, not speaking up, makes the cycle of racism, violence against women, and discrimination of minorities and women continue. Back matter includes suggestions for further reading, and brief bio’s of contributors. A book to savor. Highly recommended. Thanks for visiting our blog, Sirin. Thank you for the perfect holiday gift for my three daughters ages 18, 20, and 22 as they navigate the world on their own. Each are exploring what feminism feels and looks like. You are welcome, Carrie. Good for you for making the book available to your daughters. I missed this one! Thanks for the recommendation--I'll look for it now :). Hi Maria. Always good to see your comments. Hi Anne! We did do a lot of reading and had great discussions. Congratulations to you, too!